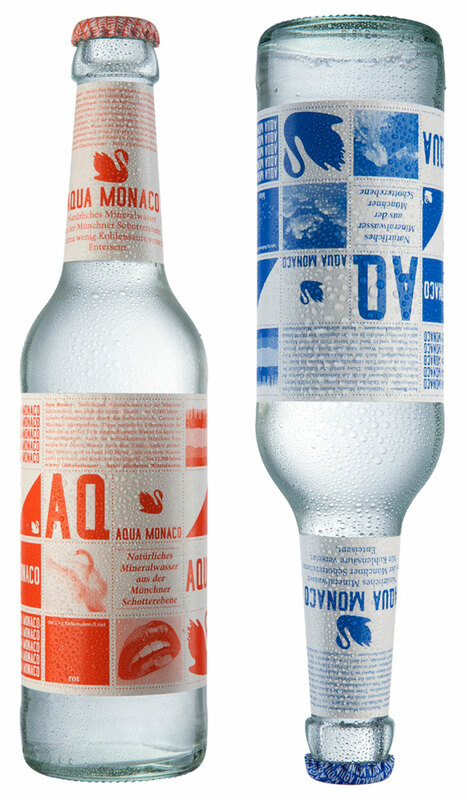 "Natural Mineral Water Aqua Monaco is not only of special origin but also shows a challenging branding. 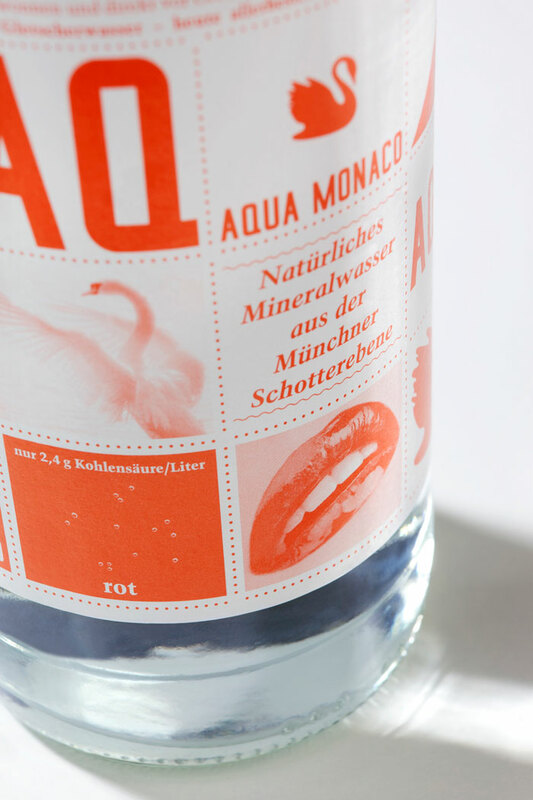 The glacier water’s source is situated in the “Münchner Schotterebene” which makes it a real Munich product. The world famous Munich beers use the same water which is more than 10.000 years old and a left over from the last huge glaciers. Aqua Monaco is captured pure and clean in over 150 meters under ground. 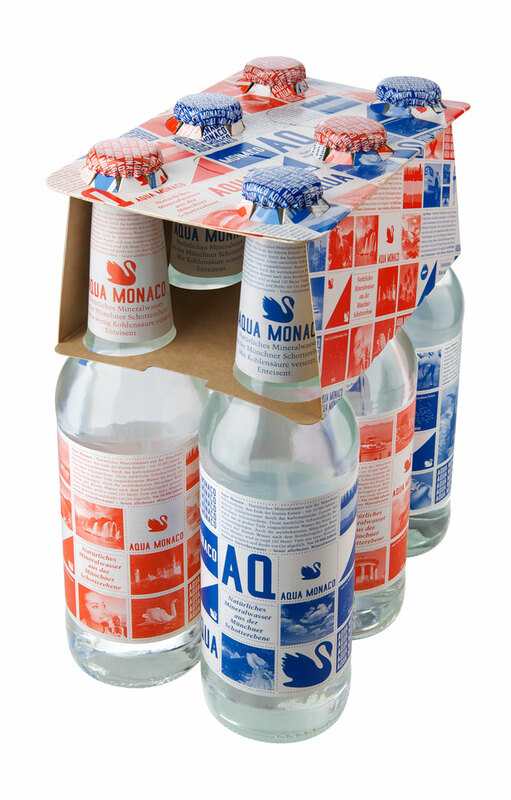 Premium water quality and outstanding design make the cheerful 0,33 liter Aqua Monaco longneck bottle a perfect drink for clubs, bars and delis in Munich and around the world. Aqua Monaco is happily playing with stereotypes without forgetting to honour the region of its origin. The labels are set up in an ever changing grid system of information, graphics and images. The rich imagery shows the mixed up bavarian-munich-monaco-water-beauty-dream-happy world of Aqua Monaco. The eight labels of the first filling can be seen on www.aquamonaco.com."